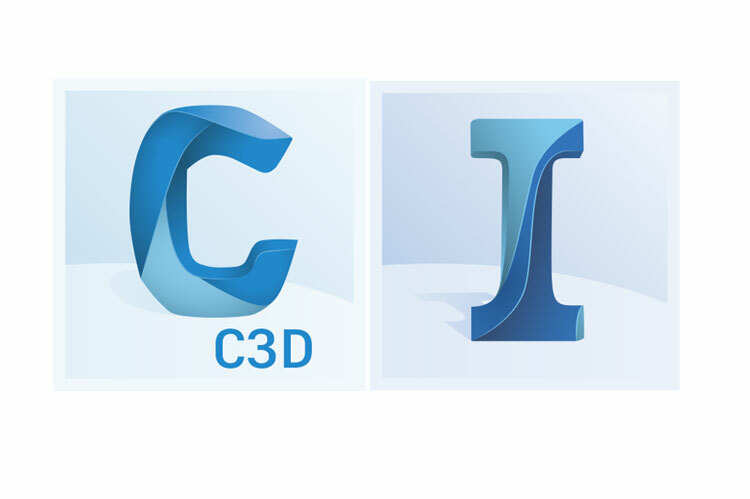 Autodesk announced the release of Civil 3D 2020 and InfraWorks 2020. This release of Civil 3D delivers further improvements to performance and scalability, enhancing BIM design and production efficiencies for larger, more complex projects, the company said. New features and the new Dynamo for Civil 3D will streamline repetitive tasks and help users get more out of models. Users can get started with the included sample scripts or use the visual programming environment to develop custom scripts to tackle specific tasks. Engineers at Belgium’s TUC Rail, a railway infrastructure manager, are already incorporating the system for their own uses with great success. “Dynamo gives me the means to be more flexible and quick in solution adoption,” said Wouter Bulens, Tuc Rail. “In my experience we hope that civil projects are standard, but every time you find that you need something a bit different. With the right nodes it will be easier to create a variation and test something new. “I also look forward to drafters use this tool. This is simply next level scripting with not just AutoCAD, not just Civil 3D, but geometry and data as a whole. As a programmer I am very happy with the visual engine of Dynamo to support programming with geometry. New customers can start a 30-day free trial of Civil 3D. Current subscribers can download Civil 3D 2020 through the Autodesk Desktop App or from their Autodesk Account at www.manage.autodesk.com. Note: Dynamo for Civil 3D is available as a separate installation through the Autodesk Desktop App and from your Autodesk Account. In addition to the introduction of Dynamo for Civil 3D, the 2020 version of Civil 3D also comes with notable enhancements to storm and sanitary analysis, gravity network analysis, and an upgraded user interface. The first thing users may notice when launching Civil 3D 2020 is the look and feel – a dark blue theme running across the ribbon background, and easier navigation. These cosmetic updates were designed to create a uniform experience across the entire AEC Collection. Upgrades to the ribbon icons scale with high-resolution monitors such as a 4K display, helping to make the purpose of each command clear and intuitive. There are several updated features in Autodesk Storm and Sanitary Analysis, which accompanies Civil 3D 2020. When analyzing multiple storm events, users can now add separate tailwater conditions for each event and edit the outfall conditions for each storm event. When using dimensionless hydrographs, users can now adjust the peak rate factor for the hydrograph on a per sub-basin basis. For example, if running an SCS hydrology model, TR20 or TR55, the sub-basin dialog box enables a new peak rate factor field at the top of the dialogue box and for each sub-basin in the table at the bottom of the dialogue box. The factor can be entered on either location and copied from one sub-basin to another. New storage chamber systems from ADS or Cultec are available for underground attention. The updated analyze gravity network command helps users analyze a gravity pipe network and then apply the results while in the model. This feature uses the hydraulic properties and gutter details for each structure being analyzed in this network. The wizard for the analyze gravity network command has been replaced with a mode-less dialogue box, which enables users to directly interact inside the drawing. There are three types of analysis to choose from — pipe sizing, computing energy in hydraulic grade lines, and inlet analysis. By selecting the network details button before running the analysis, users can review and resolve issues before performing the final analysis. Additional outfall options have been added to give more design options. View the final results of an analysis in an Excel spreadsheet for reporting. InfraWorks software enables AEC professionals to contextualize, conceptualize, optimize, and visualize projects – all within a real-world view of the built and natural environment. The latest release of InfraWorks, continues Autodesk’s commitment to integrating BIM and GIS. In InfraWorks (2019.3), Autodesk introduced portal manager support, enabling connections to on-premise Portals in addition to ArcGIS Online. With this feature, customers can use the data contained in their in-house Esri data repository (Portals). The company also offered image service support for the Autodesk Connector for ArcGIS, allowing users to connect terrain and image layers in addition to feature layers, within their InfraWorks models. Autodesk’s partnership with Esri has allowed it to leverage the immense quantities of GIS data that were already available both publicly and on internal storage with a streamlined approach that avoids many of the past translations that needed to occur. This release adds the ability to save back edited data from InfraWorks to the Esri data stores. In this latest release of InfraWorks, users now can make changes to GIS data imported from ArcGIS and perform a save back, saving those changes back to ArcGIS. For example, using sanitary sewer manhole and pipe data from ArcGIS brought into InfraWorks, within an InfraWorks model, users can change manhole and pipe locations to meet design requirements. Once the change is made, select the data source from ArcGIS Online and select to ‘save back’ to save those changes back to ArcGIS. Now in ArcGIS Online, refresh the web browser and the new locations of the manhole and pipe are shown. In order to meet BIM requirements, an aggregated model with deep metadata is often required and the schema tool helps simplify the process of managing this data. The new release of InfraWorks allows users to add new properties and information to the elements of their project. Customize data for objects in a model through the extended schema transfer tool. The data can be expanded with multiple fields and each element can be documented as needed. The schema tool can be applied to buildings, parcels, roadways, utilities, and a host of other InfraWorks elements. InfraWorks now allows the user to control the cut and fill display on roads. Selecting the material display in the grading option allows the user to specify the color or material by the impact, cut or fill. Clearly view impacted areas and make design revisions as needed. This feature will greatly help to enhance roadway and concept layouts within InfraWorks. It is now possible to make adjustments to bridge structures using a convenient spreadsheet technique. The structure parameters are saved to a spreadsheet where multiple edits can be made to multiple areas of the structure at one time. These changes are then saved back into the spreadsheet and the structure model can then be updated. This method of making multiple changes across is particularly efficient for customers working on large bridge projects where changes in many areas of the structure may be required.